I am the self-professed Pizza Snob in a never-ending search for the perfect cheese slice. For me, calories are just too precious to waste on bad pizza! As the Snob has said before, it feels like I will never run out of new pizza places to try in my hometown of Bayonne, New Jersey. I took advantage of the mild winter weather one Sunday afternoon on my last trip back to walk around town and visit a few places for the first time. I stumbled upon my first stop, a new place on Broadway just across from Bayonne Hospital. 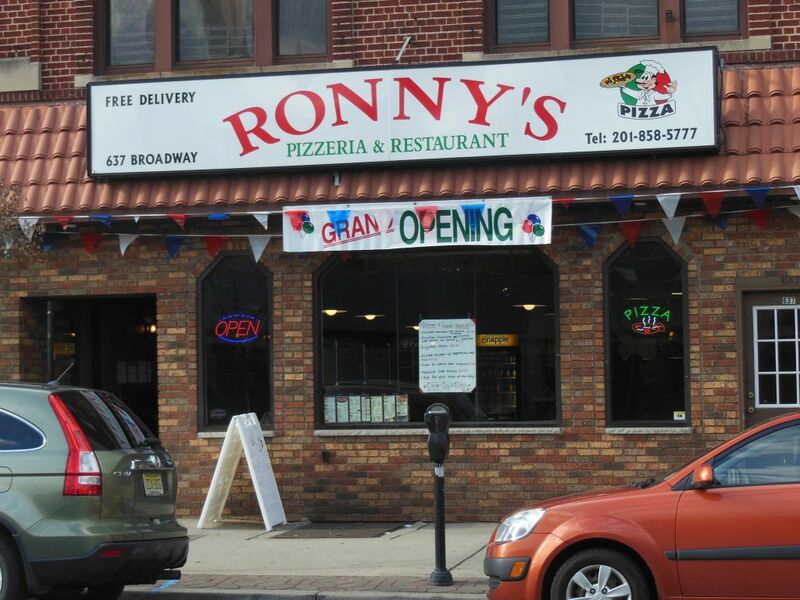 The very un-Italian sounding Ronny’s Pizzeria and Restaurant was so new that a “Grand Opening” banner still hung atop its storefront. 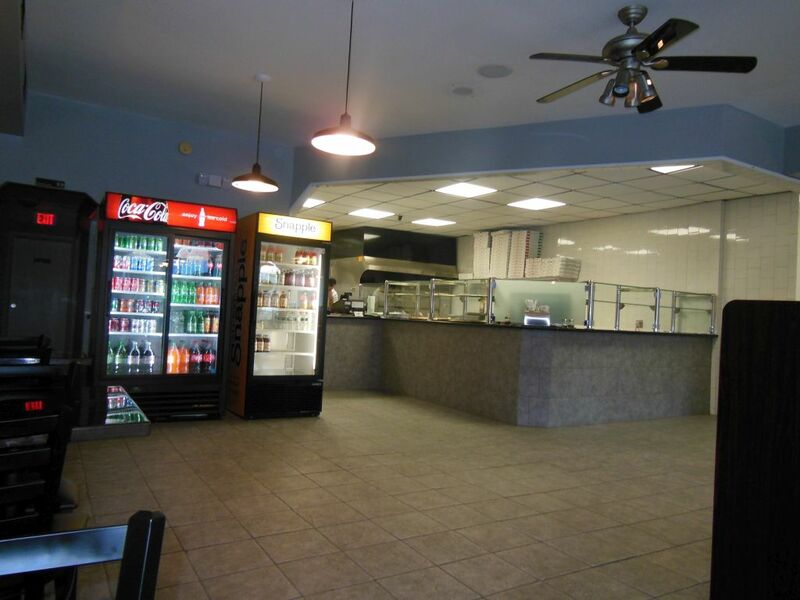 Inside, I found a spacious newly-tiled and painted room full of tables and chairs with the usual walk-up counter overlooking the pizza oven. If my memory serves me well, another pizza joint stood on this spot before Ronny’s takeover and refurbishment. Ronny’s offers a full menu of Italian wares, and their counter displayed an assortment of specialty slices. I stayed basic and ordered a $2.00 plain cheese which my host immediately reheated. 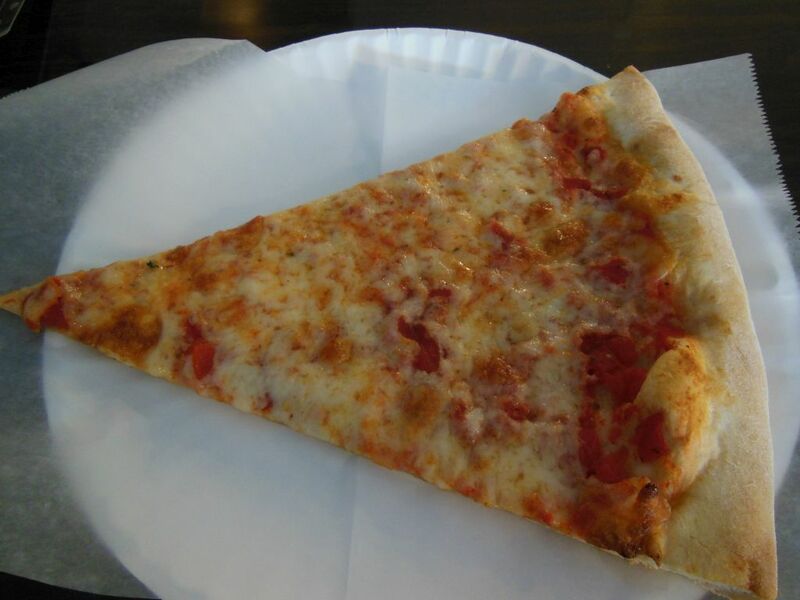 The slice looked to be right out of the Bayonne guide to making pizza—thin and crisp with its ingredients in all the right proportions, although perhaps slightly smaller than usual. Overall, Ronny’s was a delicious slice that went down quick—just three fast bites to get to the “Fold and Rip.” I found Ronnie’s crust to be a little dry, and my slice tasted rather plain. This plainness got me to thinking whether some joints expect you to do all the spicing up yourself. Maybe that’s why they leave the oregano, garlic and parmesan cheese on the table. While the Snob thinks that the spicing should be left up to the pizza craftsman, it seems that the students of the Bayonne school of pizza are inconsistent about who should do the seasoning. With so many pizza-lovers and places in Bayonne, most people tend to order their pies where it is most convenient. If I lived in this area, I would not hesitate to place an order from Ronny’s. But, it’s probably not a pizza that I’d go out of my way for.